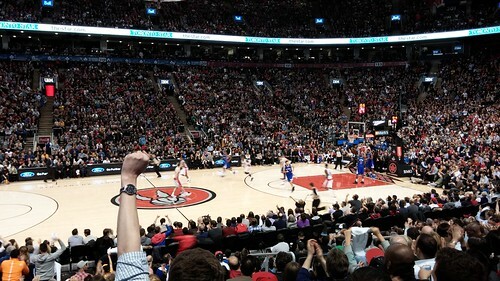 Mike - I have never been to a Raptors game. How would you compare the arena and game atmosphere compared to a Leafs game? From my only Sunday morning with internet access. I mean, someone's crapped in my corn flakes, lol. It's good that you had free tickets. I've never been to a basketball game and free tickets is the only way I would ever go. 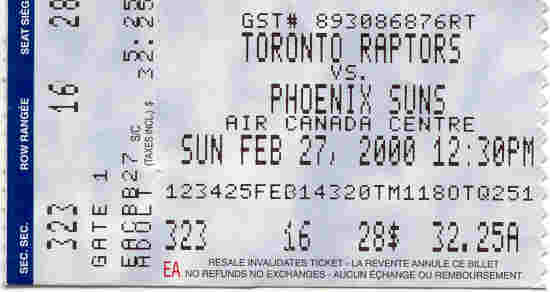 I've paid for Raptor tickets in the past. 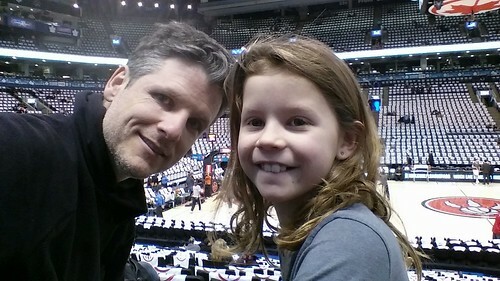 My daughter's first game was to see Steve Nash because I thought his career was winding down and I wanted my kids to see the greatest Canadian basketball player of all-time. That was six years ago... so much for his career winding down. By the way, the atmosphere was amazing on Saturday. It was a shoot-out with a very good team that plays above the rim, so that helped. Lots of cheering and standing ovations... especially when Ross would drain another 3. My wife works with a gentleman named Pierre who did the math for me. So, there was a 0.0045% chance of this happening. Pretty cool!